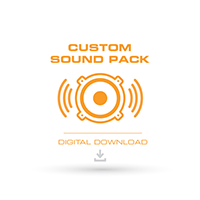 Thank you for your interest in writing a reivew for the Custom Sound Pack! You are not required to have a user account to submit a review. Be aware that all submitted reviews are subject to moderation and will not immediately appear on the website. - Please Select - 5 Star Rating 4 Star Rating 3 Star Rating 2 Star Rating 1 Star Rating Star ratings range from 1 - 5 with 5 being the highest possible rating. Add your personal review for this item. Please limit the review to 1000 characters or less. The name your review will appear under. Click "I'm not a robot"